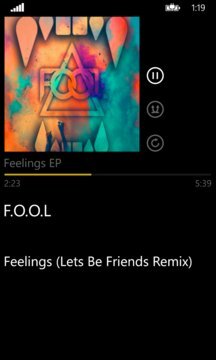 Swipe Tunes is a gesture based music player which makes it easy to change songs while keeping your eyes on whatever task you are doing. Here at Cheeky Ghost Apps, we love nothing better than to jump in the car, pop our phone in a windscreen mount and Bluetooth music while driving! 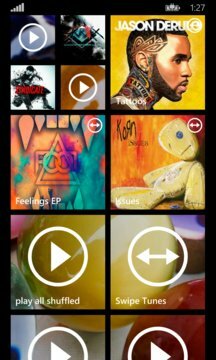 Swipe Tunes is theme customizable and even supports the High Contrast theme with a black and white tile. When the theme is set to random, the app cycles through themes each song change and updates the live tile theme (If live tiles match theme option is set).